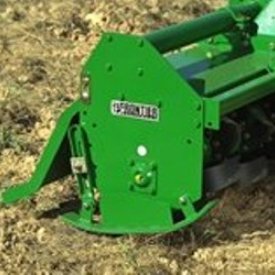 The working depth can be adjusted by the height of the skids, which is easily done with the adjustment bracket on the RT Series Rotary Tillers. A feature on the larger models is a Category 1 or Category 2 hitch. The RR1157, RT1165, RT1173, and RT1181 Rotary Tillers are compatible with a Category 1 3-point hitch or iMatch™ quick-attach hitch system. 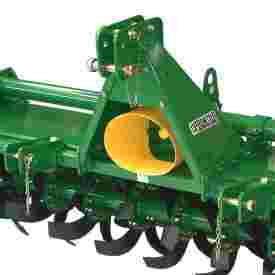 These models are also compatible with a Category 2 3-point hitch or Category 2 Quik Coupler.